In a town where the population in high-season balloons from 1,000 to over 30,000 it is clear that travelling in November, before everybody else arrives, should come with some benefits. Empty beaches bathed in early summer sun and a hostel pool of our very own. 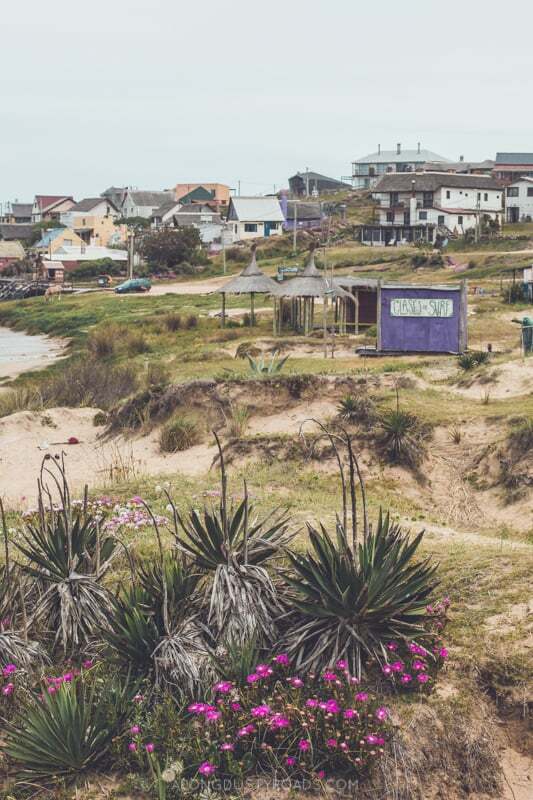 Devoid of the high rises that threaten to ruin bigger towns along the coast, and with a distinctly bohemian surfer vibe, we knew that Punta del Diablo should have been our sort of place. In fact, that's what every single person had told us. This was the best beach town in Uruguay. With no travellers, tourists or vacationing families we had the dusty roads and rugged beach all to ourselves. Unfortunately, there was something else missing - the sun. Over three days, darkness hung overhead and strong waves crashed along the coastline. 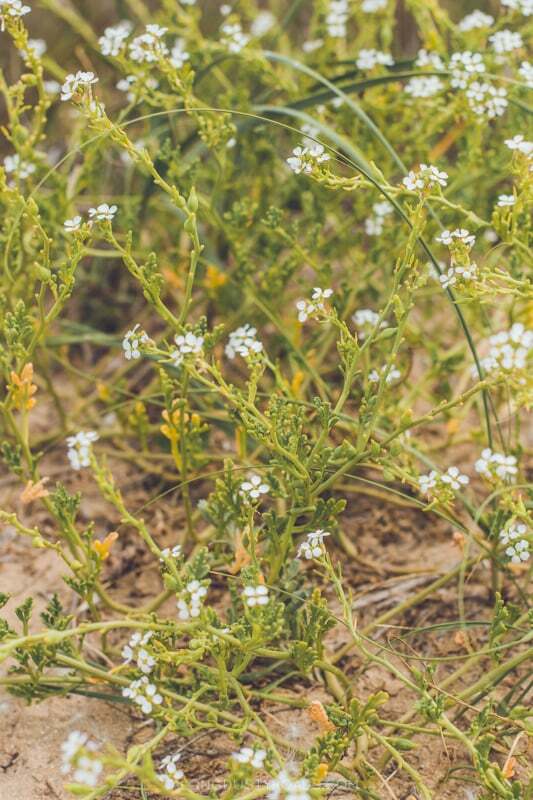 Days we hoped to be spend lazing under a warm sun, sipping ice cold beer, were replaced with a thousand layers, huddled behind a sand dune hiding from the wind. The gloom would not lift. As we wandered through a town of ghosts, it was dogs and not people which sought our friendship, who accompanied us along the empty streets. We will always regret that it was only through passing clouds that we caught a glimpse of the place we should have loved. Through our lens however, Punta's beauty is still clear. 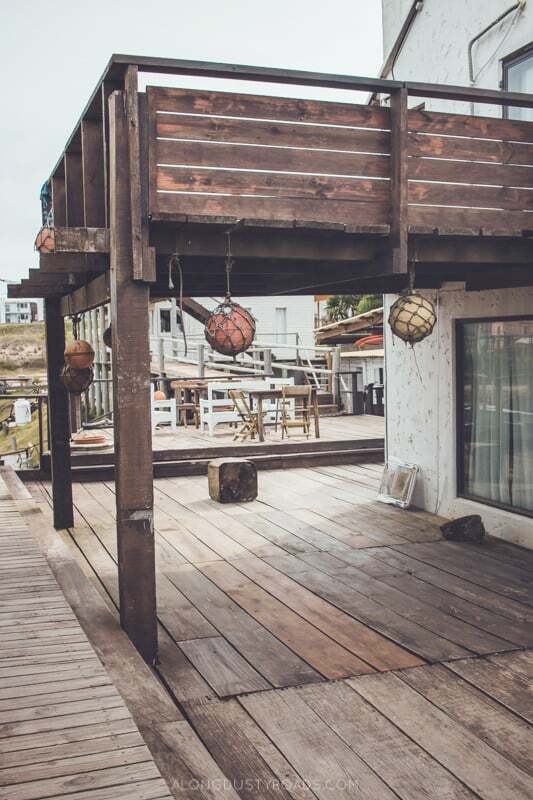 Situated just minutes from the beach, La Casa de las Boyas is a large hostel with a fun rustic sailor vibe. 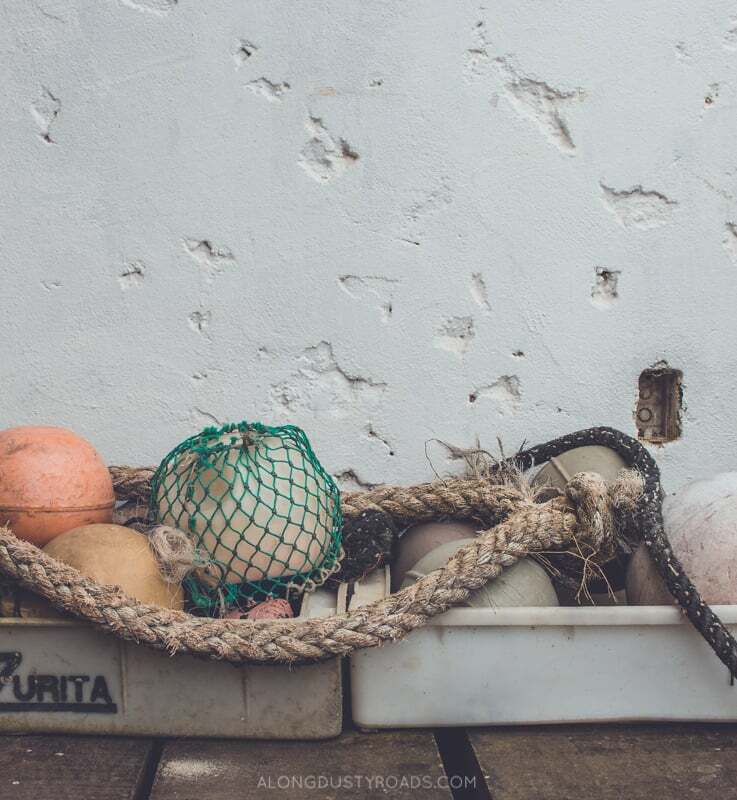 Buoys hang from ceilings, crates of seashells lie piled upon distressed wooden decks and driftwood decorates shelves. In high season, it would not be difficult to get in the sea-side mood! They have a number of rooms available including dorms, private doubles and self-contained apartments with small well-equipped kitchens and the large common areas include a bar and even a pool. Click here to find out more and make a reservation. 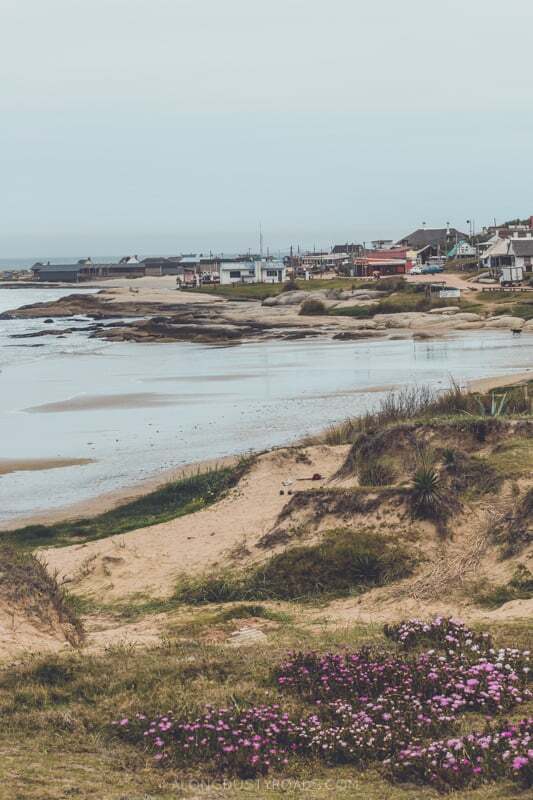 Whether you're heading east to Brazil or back west along the Uruguayan coast, connections are frequent (if not entirely reliable with regards to timetables). There is a bus stop in the centre of town (it's a wooden shack near the supermarket) which is served by local buses to Chuy and a seasonal summer service to La Paloma, La Pedrera and Punta del Este. For all other destinations including Montevideo (UR$500, 5 hours) and La Rocha (UR$180), you will need to head to the small bus terminal outside of town. For those making their way to Brazil, please take a look at this article on how to cross the border and make your way to Puerto Alegre or Florianopolis. planning a trip to uruguay? take a look at some of these posts!